with a hint of fresh strawberry and kiwi to complete this fragrance. 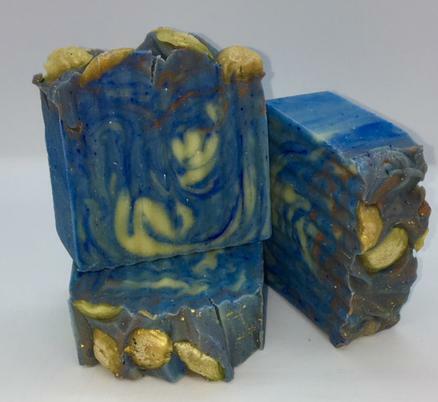 Soap can be beautiful and healthy at the same time! Blue Mica and Titanium Dioxide for color.Yacht Club Fragrance, Keep out of eye area! Jesus answered and said unto him, Verily, Verily, I say unto thee, except a man be born again, he cannot see the kingdom of God! that is you confess with your mouth "Jesus is Lord" and believe in your heart that God raised Him from the dead, you will be Saved. For it is with your heart that you believe and are justified and it is with your your mouth that you confess and are saved! "Salvation is found in no-one else, for there is no other Name under Heaven given unto men by which we must Be Saved!"